Barlestone, Carlton, Shenton, Sutton Cheney and Osbaston were all chapelries of Market Bosworth, in west Leicestershire, approximately 13 miles west of Leicester. The earliest nonconformity in each of those chapelries cannot be separately identified, as records include them within the records of Market Bosworth, and therefore this webpage should be read in conjunction with the Market Bosworth page. In the early nineteenth century, many inhabitants were employed in the hosiery industry, but the population expanded rapidly from 1871, following the opening of a new coal mine. The house of John Gardner was licensed for dissenting worship in 1672, and 14 nonconformists were noted in 1676. In 1706 the rector recorded that a house in the village was licensed for Baptist worship. Their minister was a man named Bunny, and a congregation of around 20 people met weekly or fortnightly. Baptist worship was reinvigorated here during the Baptist revival in this part of Leicestershire in the mid-late 18th century, as a direct result of the missionary activities of the pastors from Barton in the Beans. The first General Baptist chapel was built in 1798. A large building, with free seating for 250, on Sunday 30 March 1851 there were 64 worshippers in the morning and 74 in the evening, with 52 children attending the morning Sunday School. The chapel was rebuilt in splendid style in 1865, and occupies a prominent position on Main Street. 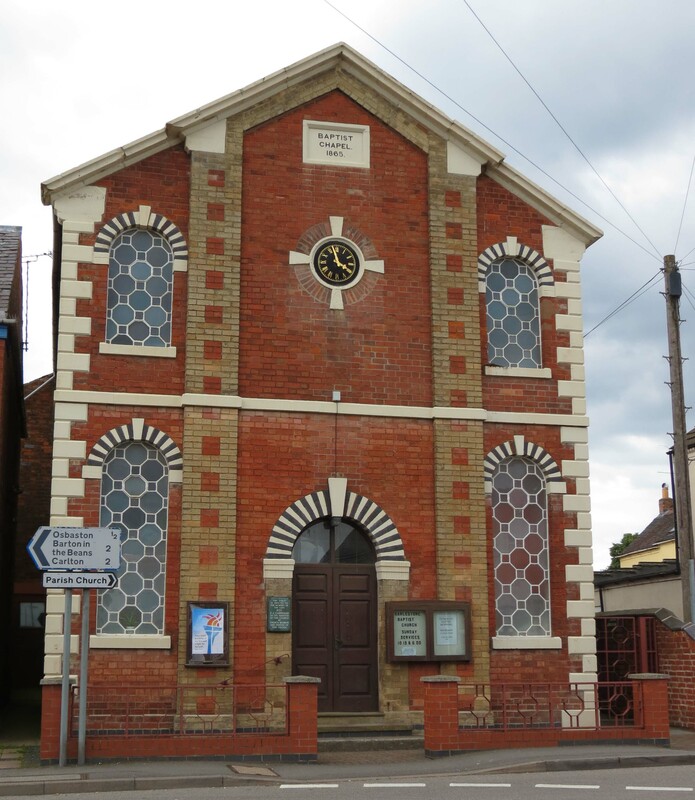 Barlestone Primitive Methodist chapel was built in 1833, with 80 free and 30 other sittings. There was just one service on Sunday 30 March 1851, in the evening, when 64 people attended. 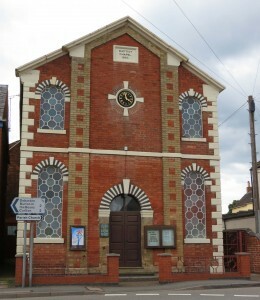 This church began meeting in Barlestone Primary School Hall in 1993, and in 2009 was able to purchase its own premises, a former public house, on the corner of Main Street and Newbold Road. No nonconformists were recorded here in 1676. In 1706 and 1709, the rector reported that a house in Carlton ‘held by one [called] Vaux’ had been licensed for Presbyterian worship. A Primitive Methodist Chapel was built in 1852. It is no longer there today. No nonconformists were recorded here in 1676, and no places of worship for nonconformists have been identified. No nonconformists were recorded here in 1676. A Wesleyan chapel was built here in about 1815-1820, which was attended by a congregation of 35 people in 1829. In 1851 the chapel was said to be able to accommodate 95 people. Services were held there on the morning and afternoon of Sunday 30 March, attended by 32 and 22 people respectively.